Kroc was a salesman and exclusive distributor for the “multimixer” milk shake blender. In 1954, he visited a multimixer client, a San Bernardino, California, hamburger joint owned by Maurice and Richard McDonald. The brothers developed an assembly-line method to make and sell a large volume of hamburgers, fries, and shakes. Impressed, Kroc licensed the McDonald format and name and, on April 15, 1955, opened the first of a planned chain of restaurants in Des Plaines, Illinois. 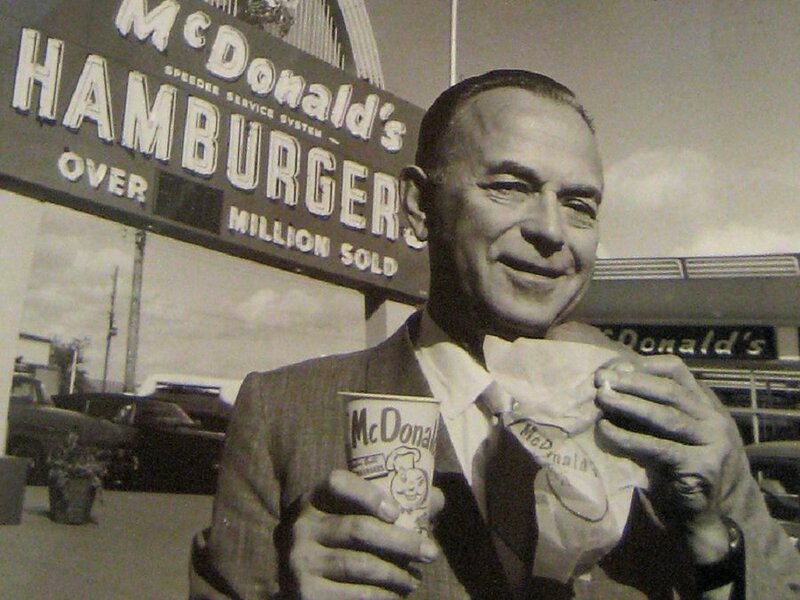 By Kroc’s death in 1984, there were 7,500 McDonald’s restaurants—which had become an icon of “fast food” not only in the United States, but worldwide.